As some of you may know last year I teamed up with Creativebug to teach a 4-part series on calligraphy with my Beginning Calligraphy class. My four-week course is perfect for beginners, and what I love about it is you can watch it any time, and follow along at your own pace. I had such a lovely experience teaching this course that I’m excited to share with you my newest Creativebug class, Calligraphy on Unconventional Surfaces. 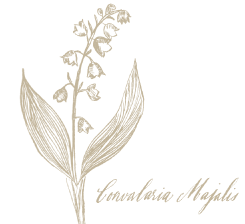 Read more about my classes below or get started now and take my Creativebug classes here! In my beginning calligraphy class I include ample warm up exercises that will help you understand how to hold the pen and control the flow of ink onto the page. From there, I’ll teach you how to form upper and lowercase letters, and how to join them to create beautiful words and phrases. 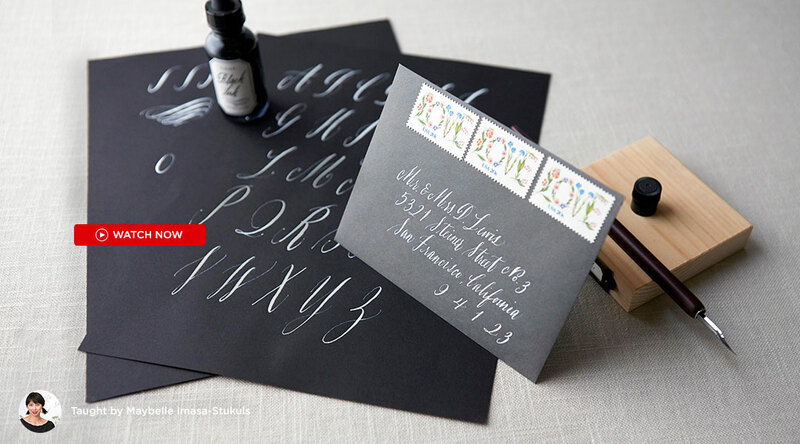 By the end of this course, you will be ready to apply calligraphy to anything imaginable. 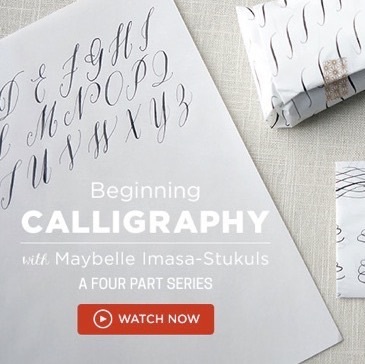 Each part of this series is designed to make learning calligraphy fun, and approachable. My second class, Calligraphy on Unconventional Surfaces will teach you how to take your calligraphy to the next level. In this class I teach you how to apply calligraphy writing techniques to surfaces like wood and chalkboard, using acrylic paint, gouache and chalk. You’ll also learn how to mix custom colors with gouache, allowing you to work with hues other than black and white! If you’re brand new to calligraphy (or just want a refresher), be sure to take my Calligraphy for Beginners class to practice your lettering. 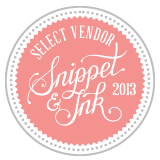 If you already own calligraphy supplies, you are all set. But if you don’t, you can purchase my kit on Etsy by clicking here: and watch along with me by signing up and clicking here.